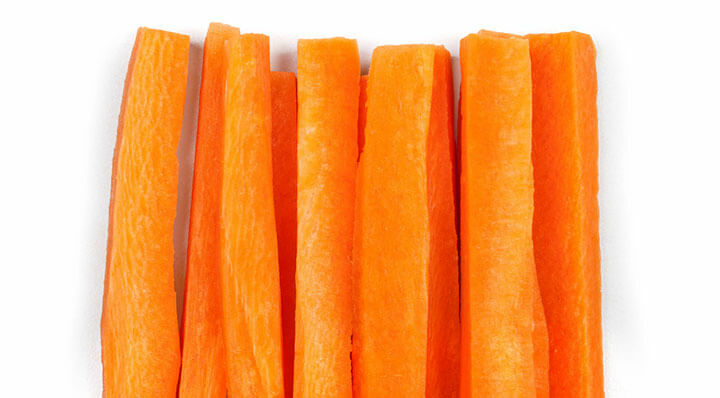 Place the carrot spears next to each other in a boil-proof bag. Peel the ginger, dice finely, put in a bowl, and mix with the orange juice, orange zest, honey, and salt. Lightly crush the fennel seed and add. Put the marinade into the cooking bag and vacuum with 100%. Cook in the fusinonchef sous vide water bath at 80 °C for 60-70 minutes, shock in ice water, and store in a cool place. To serve, briefly warm in a sauté pan with the cooking juices. If desired, add butter and glaze.